Aids to Navigation are a key component of a successful offshore energy project. Not just a safety requirement, but also a way of tracking and monitoring what’s happening out at sea, and providing Met Office data for managing operations and maintenance. Here we outline how to ensure you get the right aids to navigation in place, in time. Our first tip is to make sure you don’t fall foul of regulations before you even start construction. Navigation buoys need to be in situ denoting the perimeter of the site, four weeks before construction begins. This is to provide sufficient time to raise awareness of the site and ensure local shipping is forewarned before construction starts. We introduced a rental service for navigation buoys and lights in 2013 to address construction requirements like this. Temporary aids to navigation can be used to mark the perimeter of the site before and during construction; hiring these is an affordable way to manage this phase of the project. Hydrosphere has come to the rescue on more than one occasion when project managers have overlooked the four-week rule! We’ve rented navigation buoys to developers to plug the gap between the start of this period and when construction starts, in cases where they have failed to ensure that aids to navigation will be delivered on time. As well as the deployment of buoys to mark the site, an important use of navigation lights during the construction phase is when foundations for wind turbines are first installed. 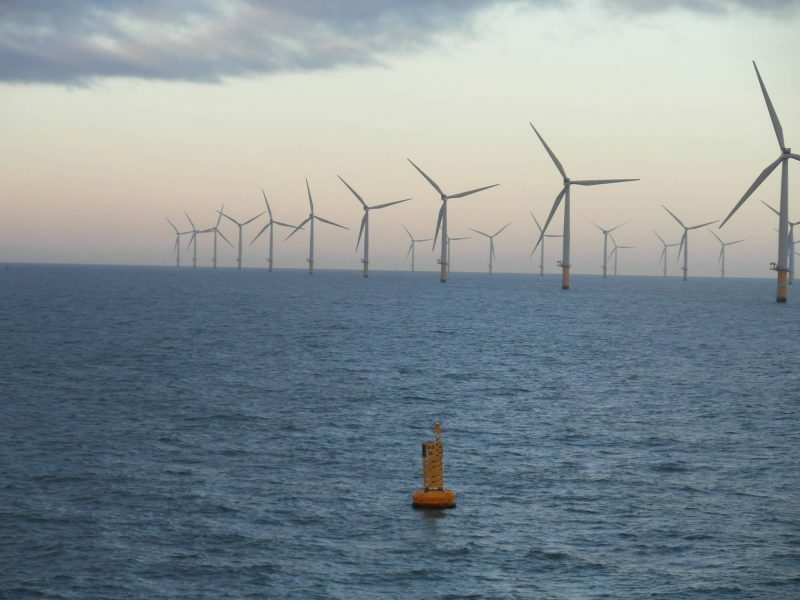 As many foundation types, such as mono piles and gravity foundations, only stand approximately 1 metre above sea level and must be illuminated prior to the turbine being installed. Many aids to navigation during the construction phase of an offshore renewable energy project are temporary by their nature. However, they must be compliant with IALA recommendations and local lighthouse authority guidelines. We’re seeing offshore renewable energy developers investing in navigation buoys and lights, such as the Mobilis JET 9000Q, by purchasing them outright for use on multiple projects. Other users may find it more cost effective to rent temporary navigation buoys and lights for the duration of the construction phase of their projects. Trinity House (General Lighthouse Authority for England, Wales, the Channel Islands and Gibraltar) require that all aids to navigation meet category 1 availability requirements. This means they must be working 99.8% of the year. • Navigation markers and lights for underwater structures, cabling etc. • Data buoys and monitoring: need to know whether it’s safe to get maintenance crews out to an offshore facility? Data buoys can provide essential information such as wave data to help manage operations and maintenance efficiently. Reliability and 99.8% ‘uptime’ can only be achieved when navigations aids are monitored and correctly maintained. This is why we supply remote monitoring systems using GSM or satellite to ensure that any issues are addressed quickly. Furthermore a system of planned maintenance is always the best option, avoiding expensive casualty response, and ensuring that all systems are performing at their best.